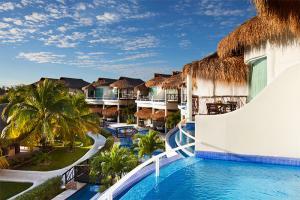 Snuggled along the beach in a separate, private area within El Dorado Royale on Mexico's Riviera Maya, El Dorado Casitas Royale is an adults-only resort made for romance. An impressive selection of amenities and services make this an unmatchable destination for romantic escapades, weddings, honeymoons, and anniversaries. Located only 25 minutes south of Cancun International Airport, 15 minutes north of Playa del Carmen. Bullfights, Duty-Free Shopping, Xcaret Eco-Archaeological Park, Tulum, Coba and Chichen-Itza, Deep Sea Fishing.